The Russian ruble has had a nice run over the past few months, surging from its low of around 80 to the USD, to a recent 58 handle. There have been many factors supporting the currency, not the least of which is a surging Russian economy, pulling its way out of recession. The other major reason for the ruble’s strong performance has been the rise in the price of crude oil on international markets. Brent broke through $56 a barrel in recent weeks and this drove the ruble deeper into the $50 range. However, what the market giveth, it can take away. As expected, U.S. shale oil producers have come online with higher prices and have slammed crude back towards the $50 range; WTI actually broke the psychological $50 barrier to the downside. Putin has either been skillful or lucky in shepherding the Russian economy through the recent recession and crisis, probably a little of both. He has allowed the central bank to float the currency rather than destroying Russian reserves in order to support it. 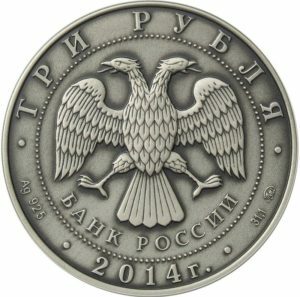 The Bank of Russia has actually been slowly increasing reserves, attempting to replenish the billions it spent buying rubles and giving money from rainy day funds to the Kremlin to plug the federal budget deficit during the economic troubles. In our opinion, the price of crude oil will be rangebound for a while. The wells in North Dakota are already dug and can be turned on rather easily to bring production onto the market. In spite of what OPEC and Russia do, they cannot control North American production levels. The Bakken and other fields are acting like a wet blanket on the price of crude. This will cause problems for Russia in the long run. The days of using oil as a nuclear weapon in geopolitics are gone. Russia has a long way to go to diversify its economy away from hydrocarbons. The Kremlin will pay the price for this inaction if oil continues to decline. The ruble will fall again back towards the high $60 range. The Kremlin may see this as a blessing in disguise as Russia sells oil in dollars and more rubles help fill holes in the budget. However, long term, Russians may not see a higher ruble and a return to the hay days of traveling Europe with a $28 ruble any time soon. What’s The All-Russian People’s Front (ONF)?